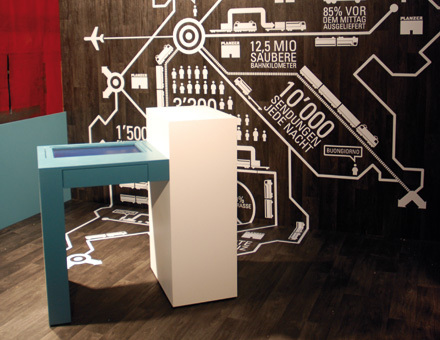 Concept, design and production of the Planzer presentation at the Pack&Move Basel trade show. 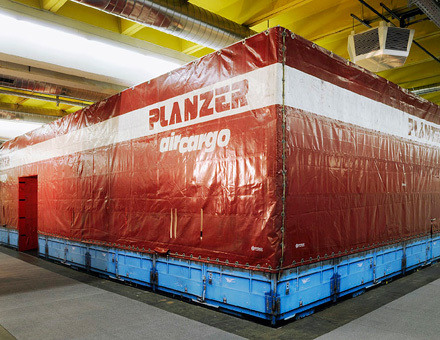 The Planzer Group is a major Swiss logistics company with 31 subsidiaries. 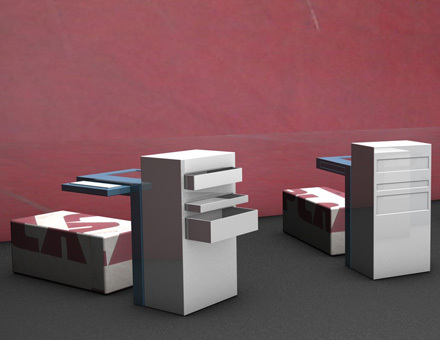 The fair booth reflects Planzer as a dynamic company – professional, but with a fresh approach. 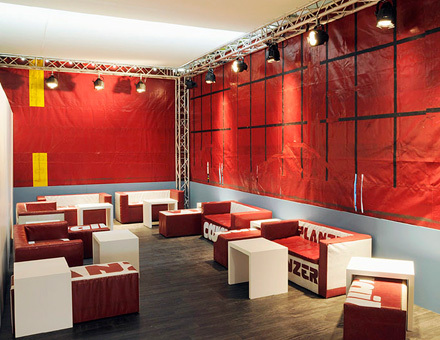 The iconic truck closed-plan fair booth is experimental, differentiates Planzer from their competitors, attracts attention and draws visitors inside the booth. Original Planzer truck tarp is used for the exterior skin and the custom furniture. The interior features an information area with custom computer terminals and benches for meetings and presentations and a lounge area with a full service bar and custom Planzer sofas and benches.